GASP. Not only are the colours delightfully different, the collections you'll see would make any junker swoon! 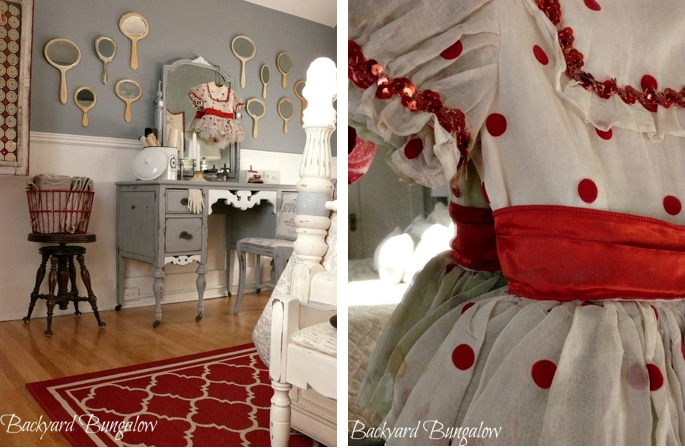 From lovely vintage mirrors dressing up a wall to Jean's tap dancing dress worn as a child, everything simply belongs. The red armoire found at antiques store, fits nice and snug in a corner, showcasing loads of eye candy for the lucky guests. 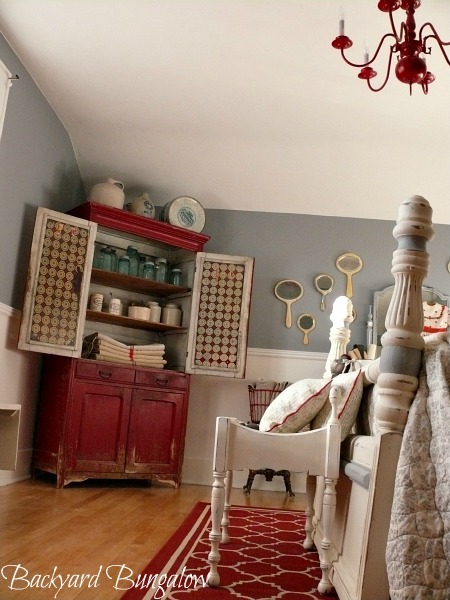 Eye spy... that looks like an entire row of aqua mason jars, which help to cool down the warm tones in the room. 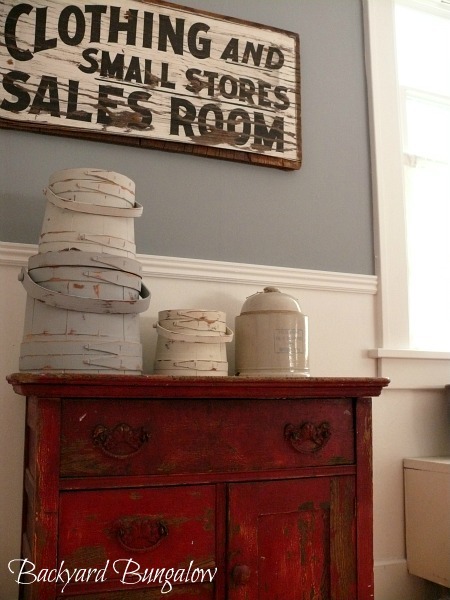 An old sign as wall art marries perfectly with this rustic old cupboard. But that's not all... trust me when I say, there is so much more to take in on this room tour!